Pair of Kings Make Day! On Saturday, August 30th, long-time fishing client, Nigel, and his crew, once again boarded the Milky Way to try their hand at Lake Ontario fishing. Nigel had the hot hand as he landed two nice King Salmon. The party ended up with a few nice Lake Trout also. Although not limiting out on Lake Trout, as has been the trend on almost every trip this season, the pair of Kings made the day for everyone and combined with a beautiful summer day out on the lake, it made for a really enjoyable trip. Short Day Results in Long Fish! On Tuesday, August 26th, after a string of nice flat days out on Lake Ontario, mother nature roughed things up with some 4 foot waves in the "trench!" The Bob Cefalu crew toughed it out as long as they could, and called it a day around 8:30 a.m. But, not before they managed to put two Kings on board the Milky Way! A Round of Lakers for Everyone! 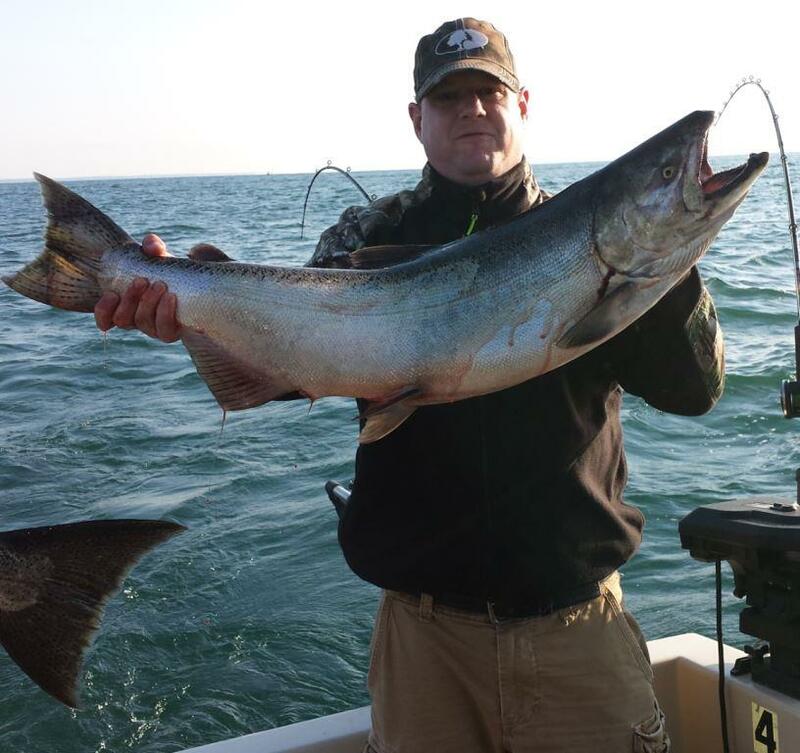 On Monday, August 25th, the Titus Mast party tried their luck on Lake Ontario. They not only lucked out with a beautiful day on the Lake, they limited out on the Lake Trout too.